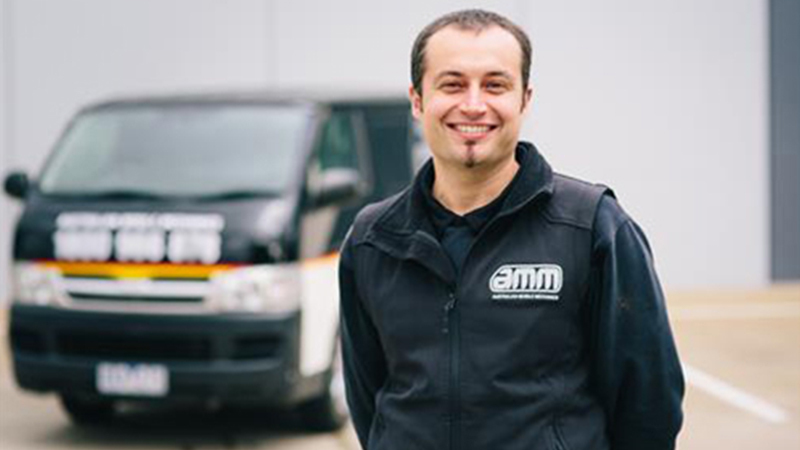 Meet Melbourne's BEST Mobile Mechanics! That’s why today, we’re here to recognise the Top Mobile Mechanics in Melbourne. We’re here to recognise the Top Mobile Mechanics In Melbourne, who went above and beyond to consistently deliver amazing service experiences to their customers. A big congratulations to the crew at Australian Mobile Mechanics, who have taken out the number one spot for Top Mobile Mechanics in Melbourne! Keirman and the team of fully qualified mechanics offer convenient, affordable and personal car care whilst combining over 40 years of experience to give you and your car the best service experience out there. Australian Mobile Mechanics pride themselves on only using parts and fluids that meet or exceed manufacturers specifications and they eve donate a small percentage of profits to local and international charities! This team of dedicated professionals has amassed over 320 review on AutoGuru, all whilst maintaining an excellent 4.8 average star rating. Well done! Check out one of their great 5-star reviews here. Vik Mobile Workshop Pty. Ltd. (Vik MW) was established in Melbourne in 2008 by Vik Pudaruth. The team has over 28 years of experience in the field with a Diploma in Management, and serves Melbourne's Inner and Eastern suburbs and south-eastern suburbs. Vik MW operates for 6 days a week by offering a flat rate irrespective of time or day, giving you peace of mind. Specialisations include almost all car repairs and maintenance. Vik MW can complete general car servicing, including log book services for brand new cars under manufacturer warranty. Vik Mobile Workshop has an incredible 4.9 average star rating, check out one of their great reviews below! Vince Lopizzo Mobile Mechanic is a family owned and operated business. They pride themselves with being able to cater to all budgets and concerns, and with over 20 years experience, they specialise in all kinds of mechanical repairs. The team can assist you with everything from basic services to major repairs, no matter what car you drive. With an average star rating of 4.8 on AutoGuru, you can book with confidence! Have a look at this great review. ACR Mobile Mechanics - the workshop that comes to you, servicing all makes and models at affordable prices with only quality parts used. Owned and solely operated by Chris Smith means that you will only be dealing with the owner direct! With 9 years experience, Chris is fully qualified and has the experience to tackle all mechanical problems from basic services to larger mechanical repairs and modifications. With an average star rating of 4.8, Chris at ACR Mobile Mechanics truly delivers a great service experience. Here’s an awesome 5-star review! Looking for a mobile mechanic in Melbourne?